If you only play ukulele (and never play guitar) you might not have heard of ubisoft’s guitar game ‘rocksmith’. Apparently it is a bit like ‘guitar hero’ or ‘rock band’ but instead of spending nearly £100 on a fake plastic instrument, you play along with an actual guitar and it helps you learn to play properly. I guess you think that’s no use for us electric ukulele folks though, right? Wrong. Rocksmiths 2014 edition has a new feature called Session Mode which turns your gaming console or computer into a virtual jam band that listens to and adapts to how you play. And the big news for us? Session Mode can work with electric stringed instruments other than a guitar, even if it wasn’t intentionally designed to. 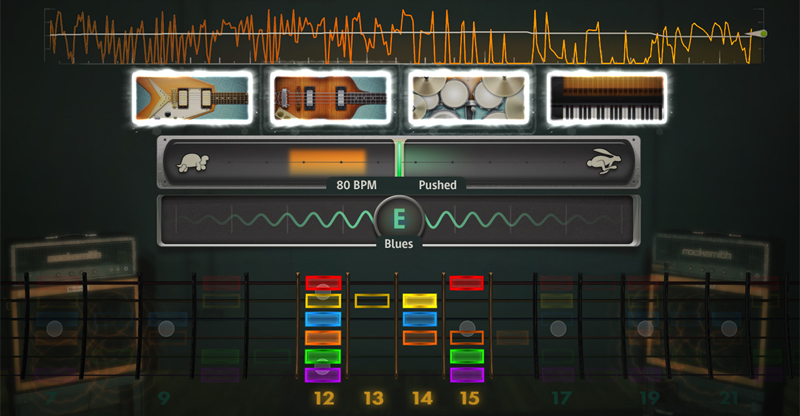 The interface on the screen would still reflect the frets and strings of a guitar (which are very different from a ukulele’s), but the virtual band will still listen to your notes and play along appropriately. Of course, you can’t play the main game with instruments other than a guitar, but being able to jam with a virtual band still rocks!